No, no, no. Not Prada. Pradata. The Obris Morgan Pradata. 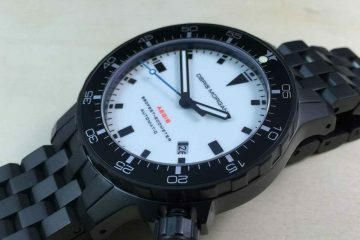 The name might be a little weird, and I am not sure of the origin, but one thing is for sure, after my time with this new diver model from Obris Morgan, it is an excellent value when it comes to a dive watch. These days, many of us watch enthusiasts are always looking for a good value or bargain, or as some say “bang for your buck”. Sometimes you get what you pay for. For example, if you pay $280, you get a $280 watch. 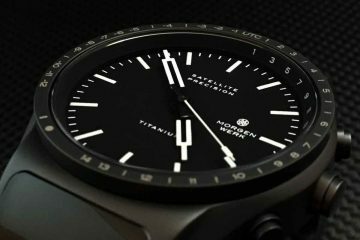 Obris Morgan’s recent models, Nevon and Explorer, really set a standard for what type of watch you could get for under $300. Their newest model, the Pradata, surpasses even those. 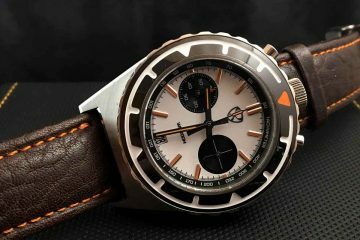 The solid steel case was designed by Obris Morgan. That is something in and of itself right there. Some brands that boast some of the stats that the Pradata has, the case/and or bracelet, is an off the shelf or catalog case. Now, the bracelet is catalog, a 5 link bracelet we have seen on some similar watches through the years. But, the end links are not. The end links were custom made to fit the case and lugs of the Pradata. They not only fit perfectly, but really add to the value, as the whole watch looks much more expensive than it actually is. After wearing for a few weeks, I have found many positives and very few negative items I can say about the Pradata. One thing I always keep in mind when doing a review, is the price. With the price of this model, it is hard to really knock it for anything. I've been an avid watch lover since the age of 7. Watches are not only my hobby but a passion. 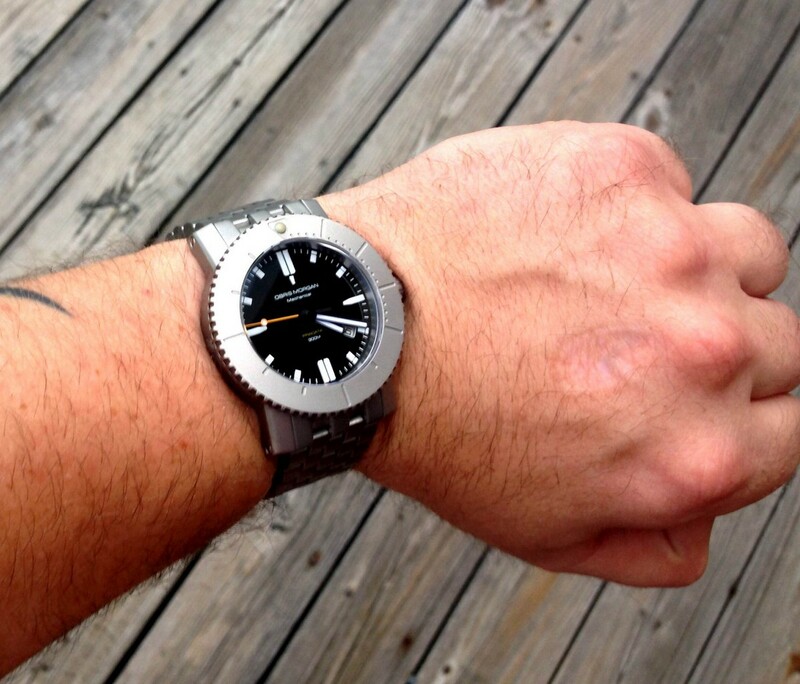 My favorite style used to be dive watches, but field or non bezel watches have been growing on me. When I'm not reviewing watches I am either cooking or with family and friends. I have the Pradata in a brushed finish and I have to say that for the money, this is an amazing watch! The bezel took some getting used to due to how wide the surface is, but when paired with the faceted case, the combo is terrific. I ordered a blue nato strap and brown leather strap from them directly when I ordered my Pradata, and I have to say that the watch looks better on the leather strap first, the nato second, and the bracelet third. The case and bezel have so much metal that a non-metal strap seems to showcase the watch in an even better light. Great review, I look forward to reading more! Thank you Paul L. I did not get a chance to put it on a leather strap, but I am sure it looks great. Post a picture of yours on your Instagram page and tag us @watchreport. I may be totally wrong on this, but doesn’t “Pradata” mean “Sold” (as in, ‘the cookies have been sold to the customer’) in some of the slavic languages? I have a collection of around forty dive watches, as well as a couple, an old Navitimer, a flightmaster and a Ferrari, that don’t see water. This was a bit of an adventure for me, since my blasted and blue dial Pradator cost substantially less than any kind of a service on any of my other watches. It turned up here in UK in six days, and although I got hit with almost $50 UK taxes [grrrr], the watch is a colossal bargain by any standards. It is also numbingly beautiful to look at – IMO – and is a joy to wear and to show off, when necessary. My usual daily wear comes from Breitling, Rolex, IWC, Ebel, Omega and so on. This beautiful creation costs half the price of a Breitling leather strap…and a third of a service. Thanks for your feedback. With Don Evans review, I had to experience the Pradata for myself. 5 days later, this watch quickly became one of my top favorites in the collection. I’m glad you like the Pradata!! I have to say given the titanium case and Sapphire crystal combined with the price this is like buying a Rolex in the 1950’s. I have had it for 2 years now and its still amazing. Near perfect. Cheers charles. I really like my Pradata and considering they do not make them any longer, it seemed like a great buy and a keeper, at least for a while. I don’t get to wear it that much but it is still a great model to own. To me as nice as most of the divers that even cost a bit more. Good review..I’m going to keep it unless I absolutely have to thin the herd of 35….I like watches that you don’t see everyone wearing.